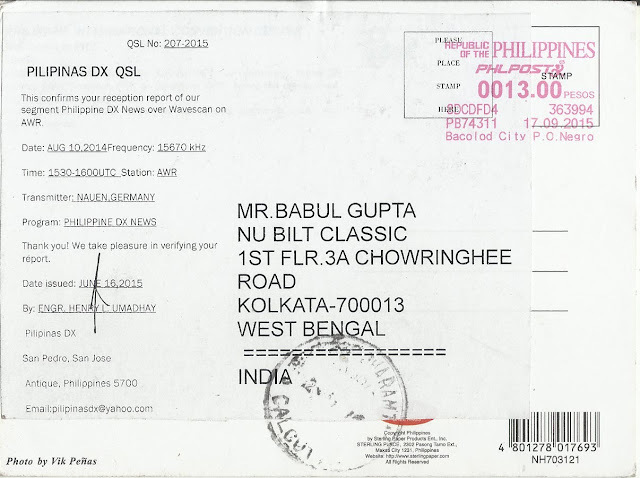 3rd October, 2012 for email report. 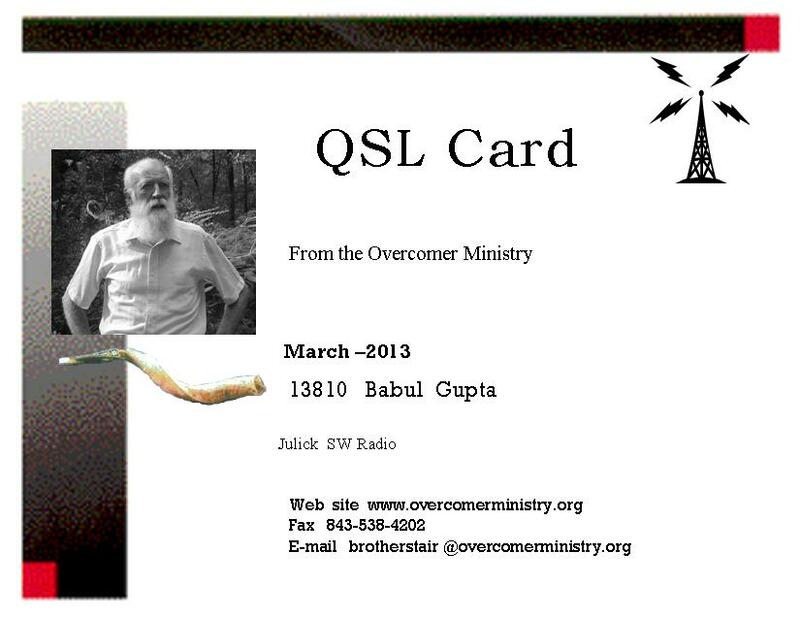 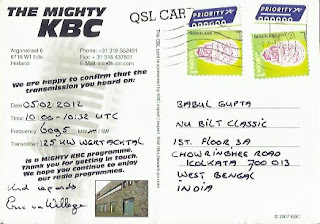 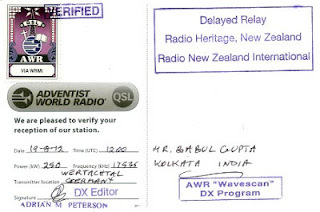 QSL card received on 16th June 2012 with a beautiful Sticker for my email report. 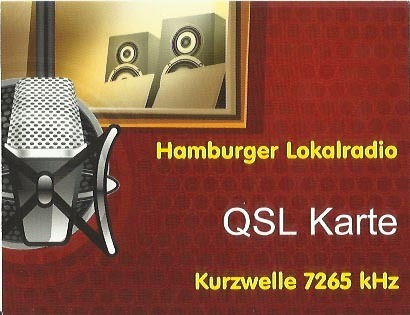 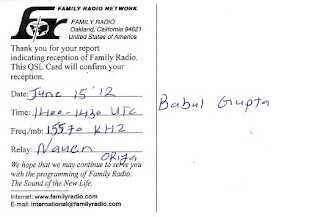 Hamburger Lokalradio: 7265 kHz, 1527 hrs to 1602 hrs UTC log on 12th September, 2012, f/d QSL card arrived on 4th October, 2012. 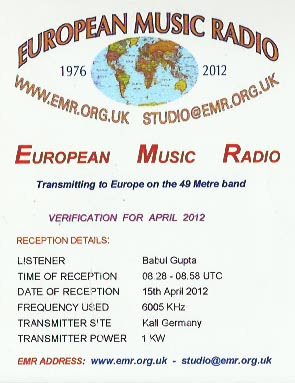 European Music Radio: Kall Germany, 6005 kHz, 0828 hrs to 0858 hrs UTC log this station on 15th April, 2012, f/d eQSL arrived on 18th April, 2012. 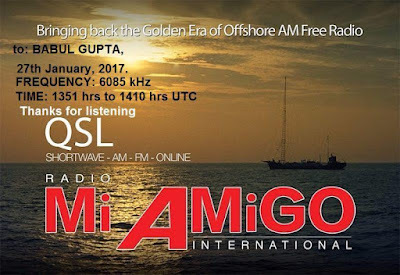 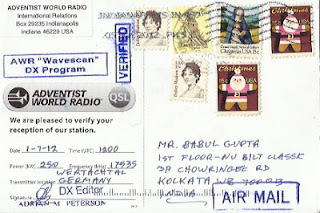 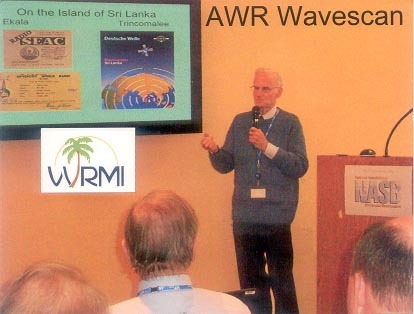 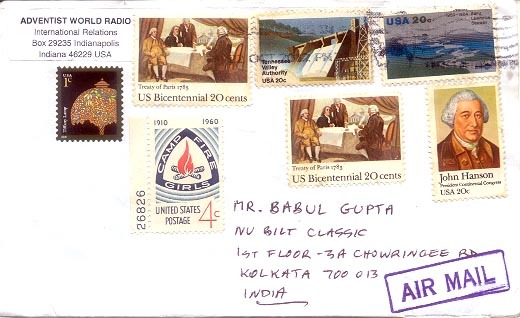 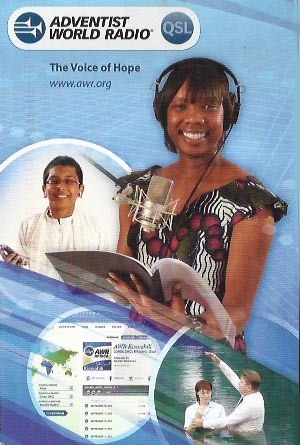 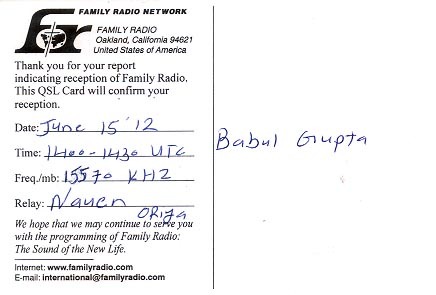 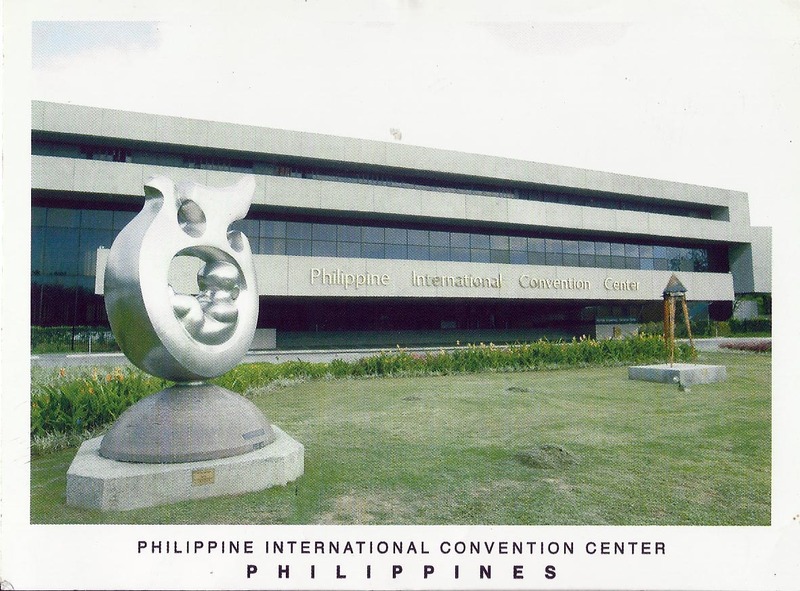 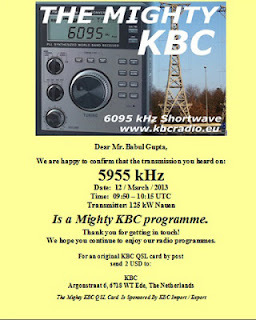 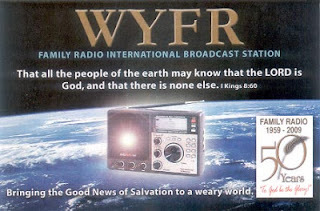 6095 kHz, 100hrs to 1032 hrs UTC log this station on 5th February, 2012 and f/d QSL card received on 2nd March, 2012. 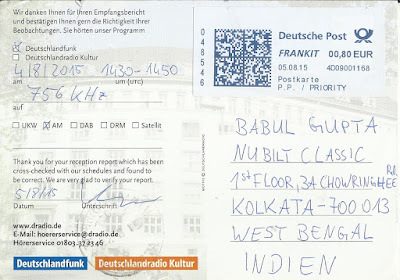 Report sent via postal mail with 1 IRC included for return postage. 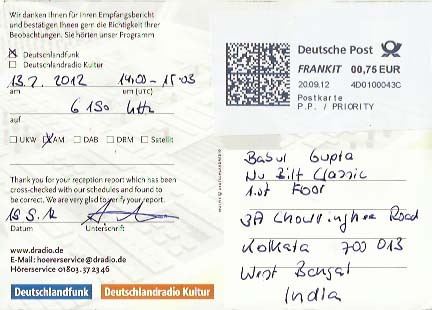 UTC, f/d QSL card arrived after 54 days for email report. 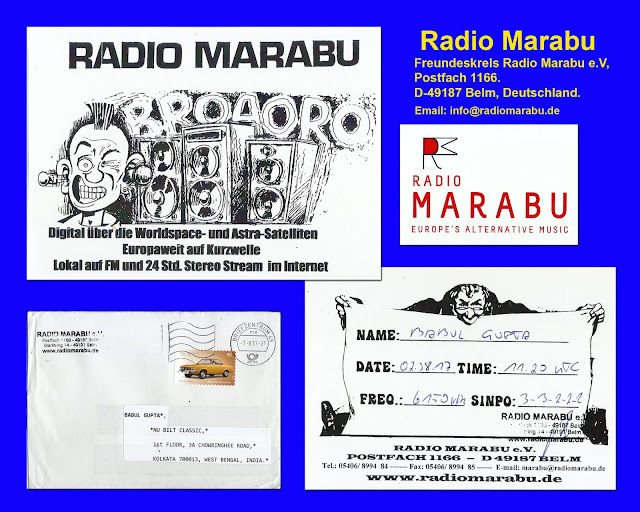 Wertachtal - Germany, 17535 kHz, 1200 hrs to 1230 hrs UTC log on 19th August, 2012 f/d QSL arrived on 3rd November, 2012.for my email report. Adventist World Radio: Wertachtal - Germany, 17535 kHz, 1200 hrs to 1230 hrs UTC log on 19th August, 2012, f/d QSL card received on 3rd November, 2012 for email report. 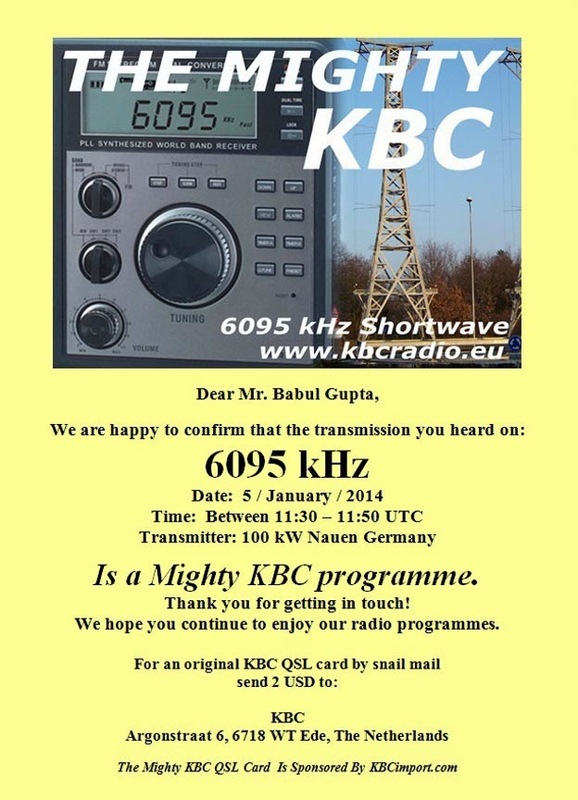 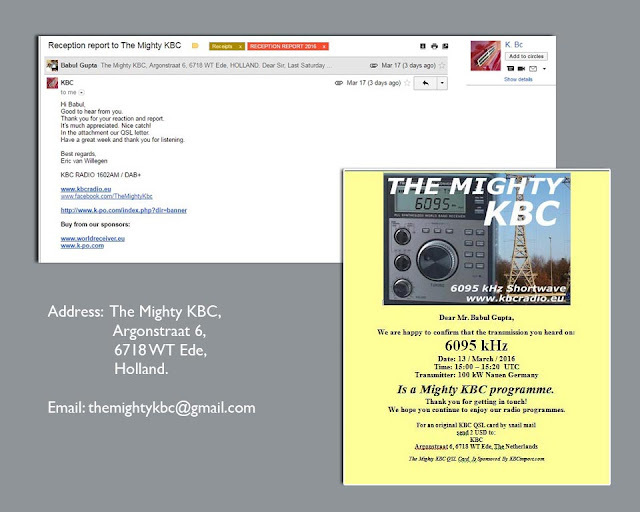 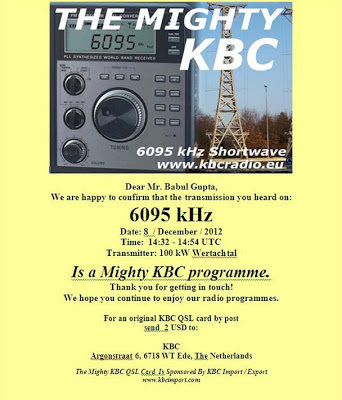 The Mighty KBC: Wertachtal, Germany, 6095 kHz, 1432 hrs to 1454 hrs UTC, log this station on 8th December, 2012 and f/d eQSL received on 20th December, 2012 for my email report. 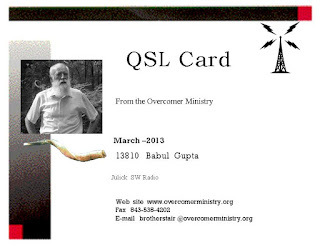 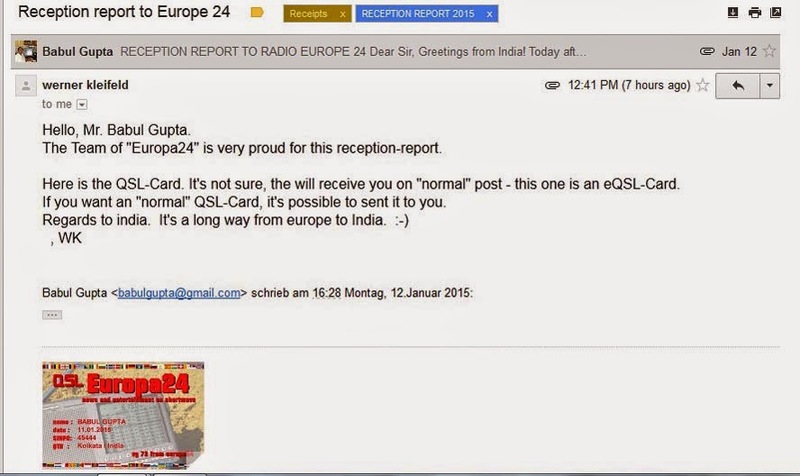 The Overcomer Ministry - Wertachtal: log this station on 13810 kHz at 1515 to 1535 hrs UTC on 15th March, 2013 and f/d eQSL received on 16th March, 2013 for email report. 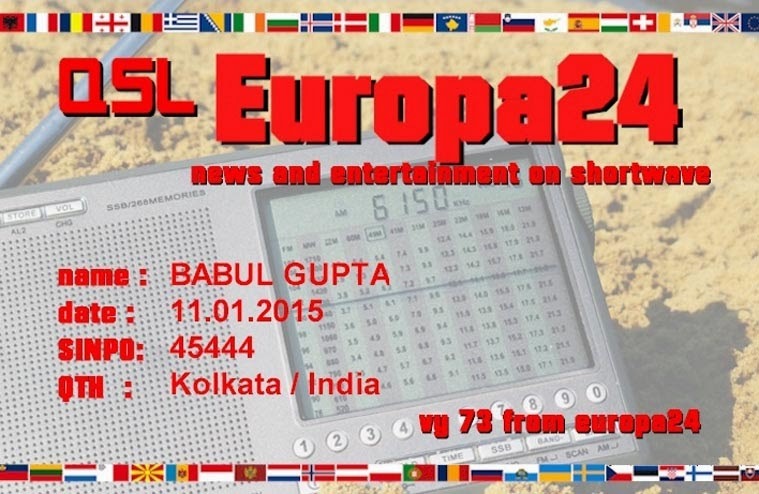 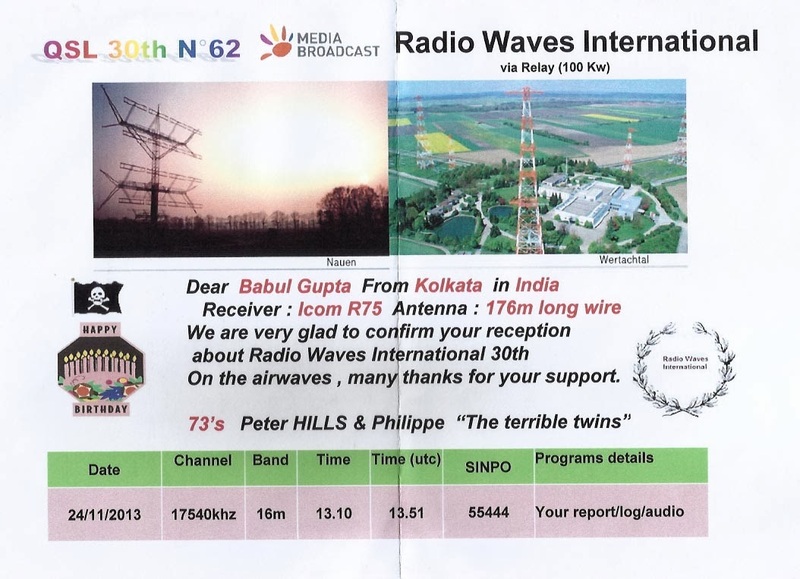 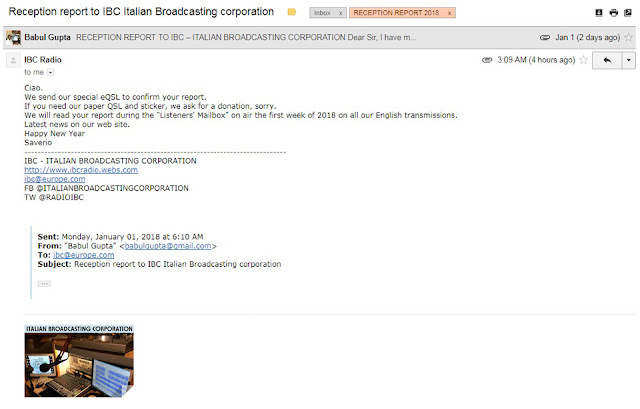 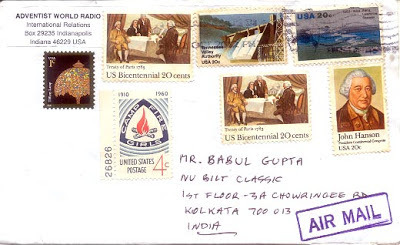 The Mighty KBC - Nauen: 5955 kHz log this test transmission on 12th March, 2013 and f/d eQSL arrived on 13th March, 2013 for email report. 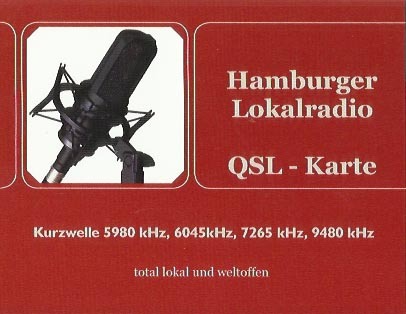 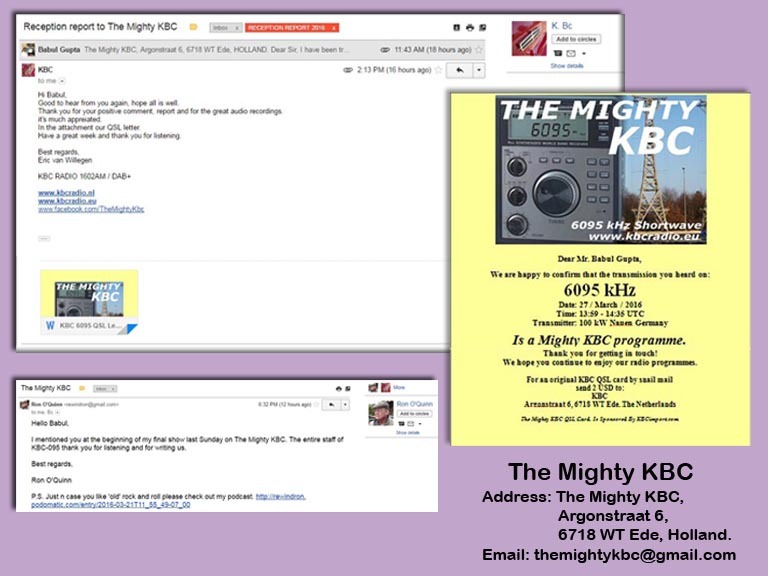 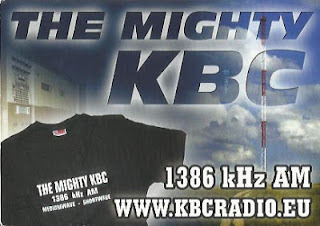 The Mighty KBC: Nauen, Germany, 7375 kHz, 0100 hrs to 0125 hrs UTC, log this station on 21st April, 2013 and f/d eQSL received on 5th May, 2013 for my email report. 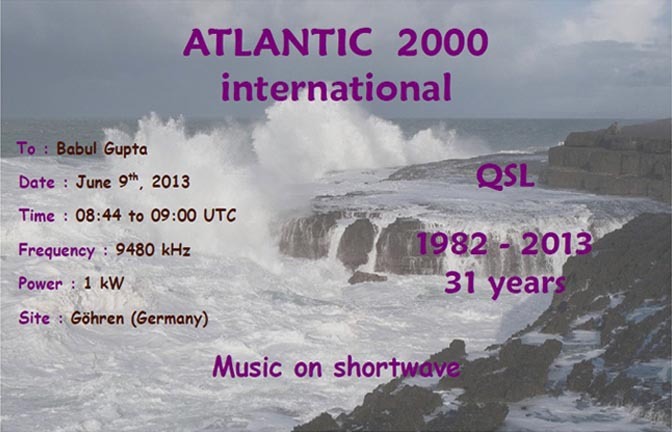 Atlantic 2000 International - Gohren, Germany: 9480 kHz, 0844 hrs to 0900 UTC log this station on 9th June, 2013 and eQSL arrived on 10th July,2013. 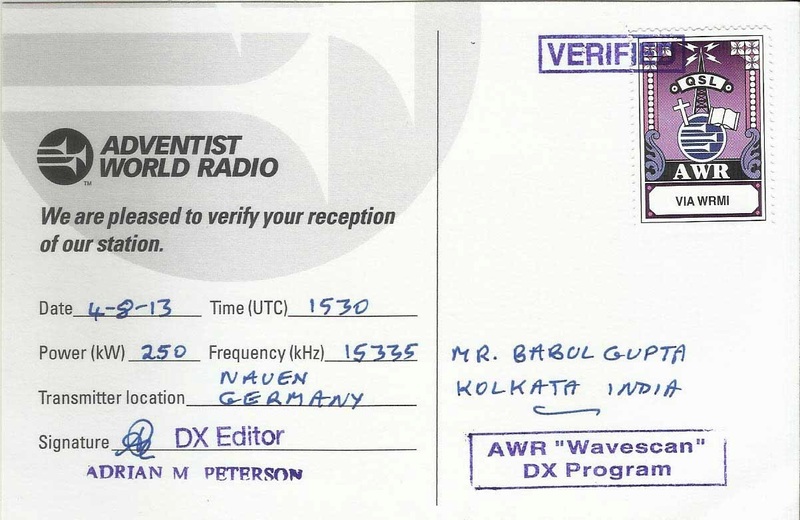 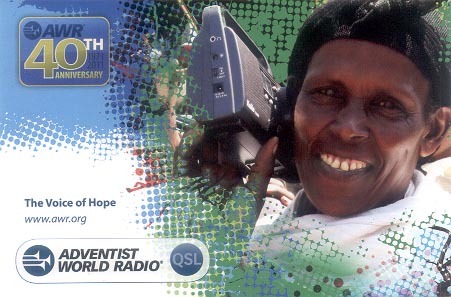 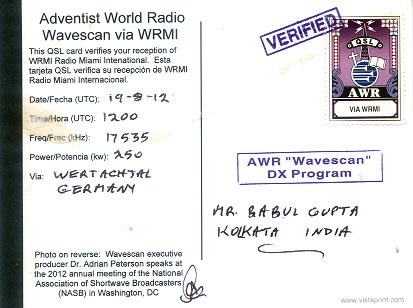 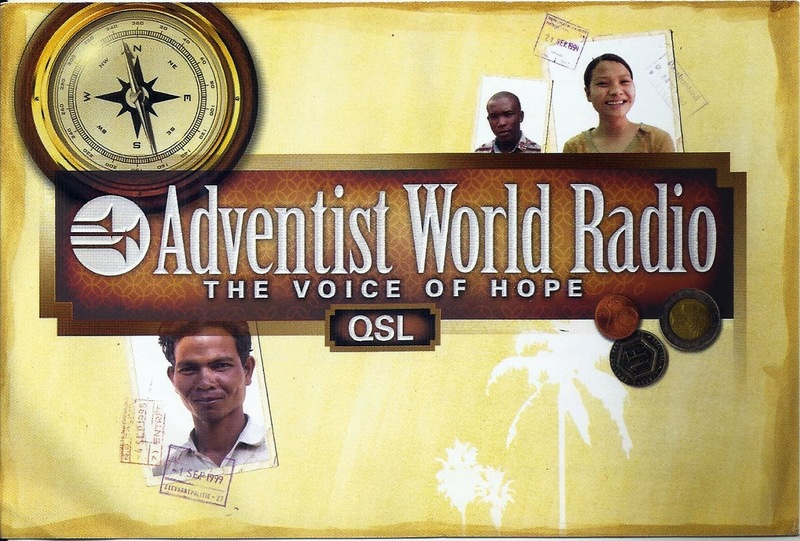 Adventist World Radio-Nauen, Germany: 15335 kHz, 1530 hrs UTC in English log on 4th August, 2013 and f/d QSL card arrived on 20th October, 2013 fore my email report. v/s Adrian M. Peterson. 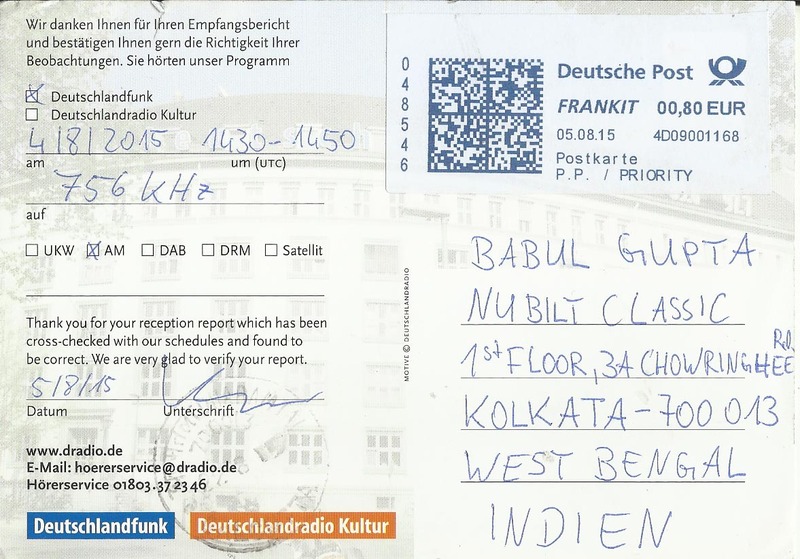 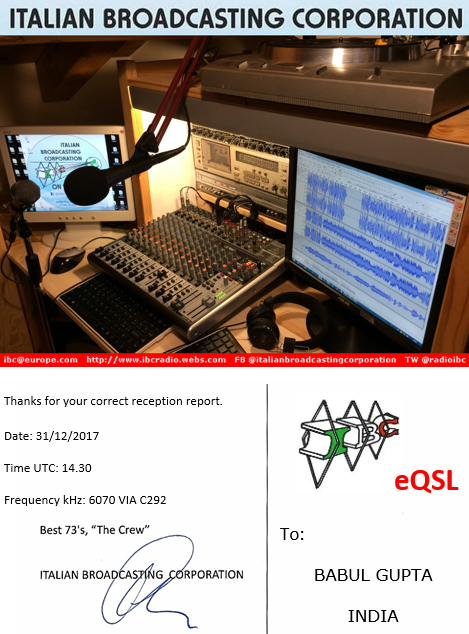 The Mighty KBC - Nauen, Germany: 6095 kHz at 1130 to 1150 hrs UTC, log this station on 5th January, 2014 and f/d eQSL arrived on 7th January, 2014 for my email report. v/s Eric van Willegen. Radio Wave International-Wertachial, Germany: 17540 kHz, 1310 hrs to 1351 hrs UTC, log this station on 24th November, 2013 and f/d QSL arrived on 23rd February, 2014 for my email report. 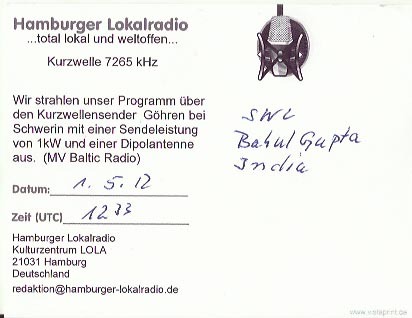 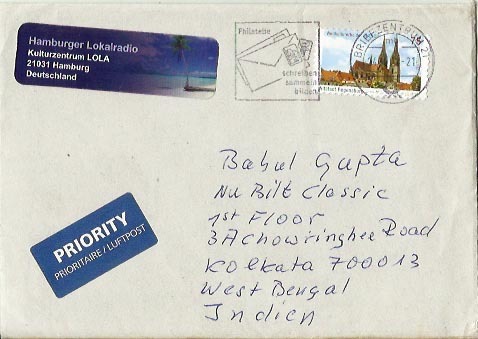 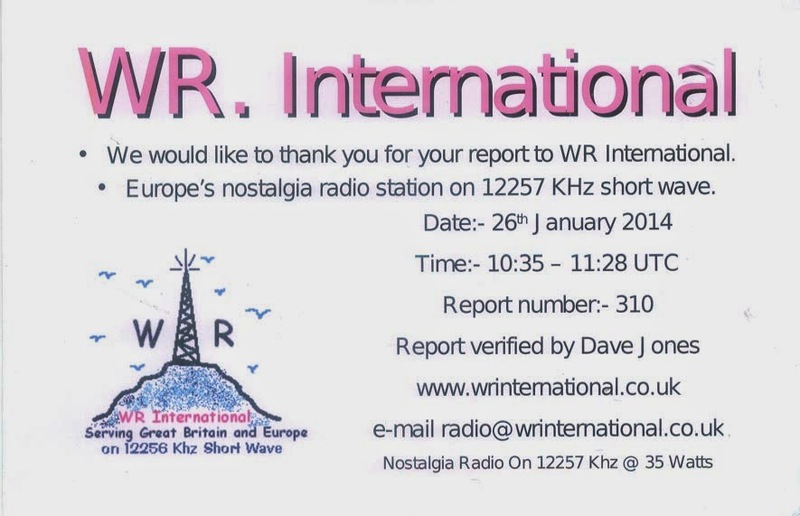 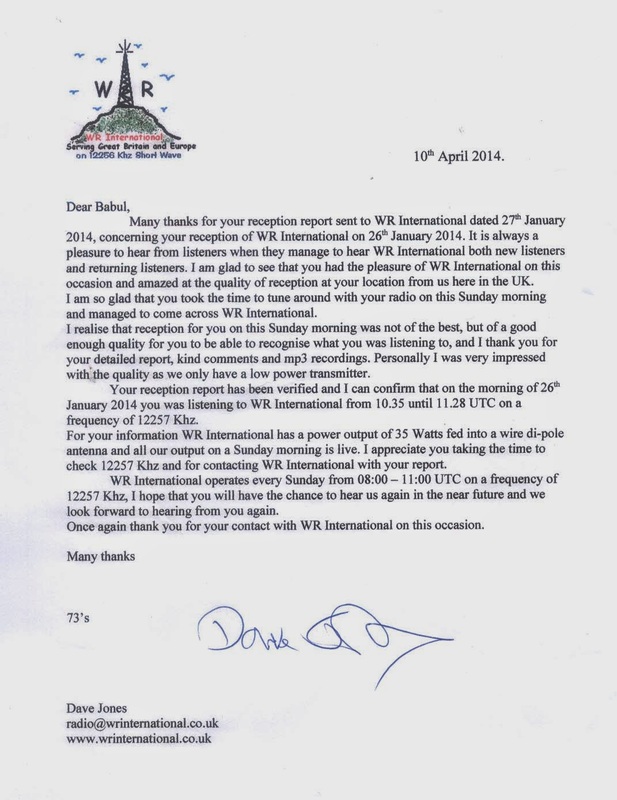 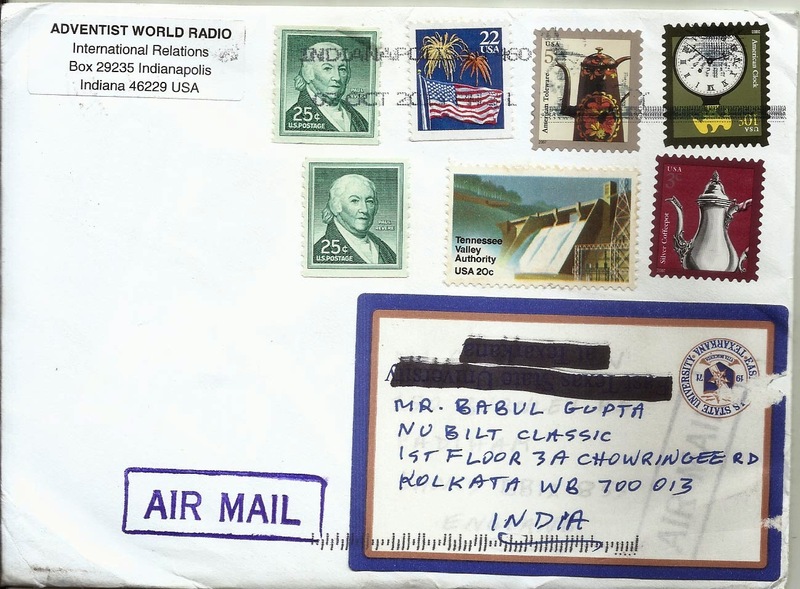 WR.International - Europe's nostalgia radio station: 12257 kHz at 1035 hrs to 1128 hrs UTC, log this station on 26th January, 2014 and f/d QSL card with letter arrived on 19th April, 2014 for my email report. 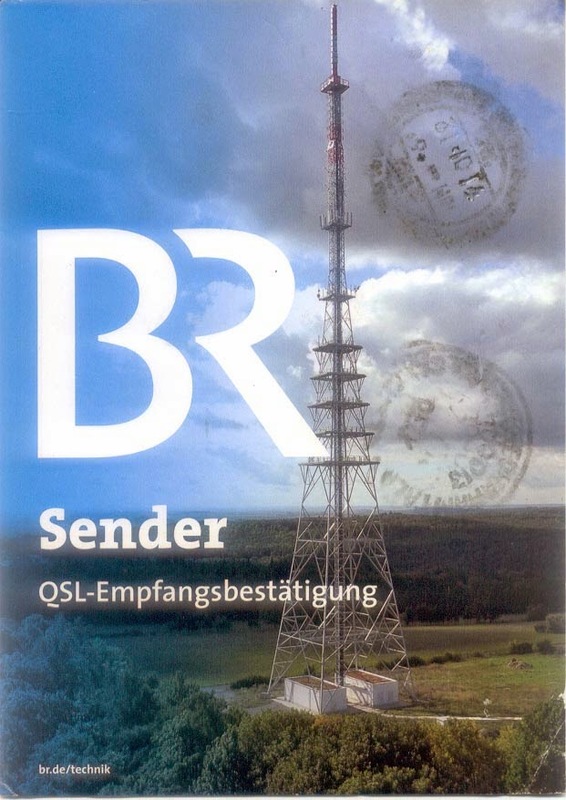 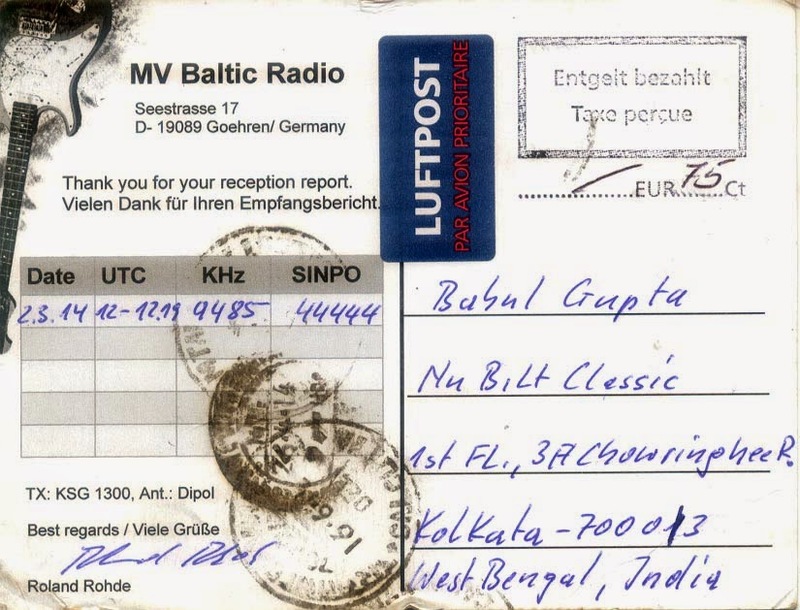 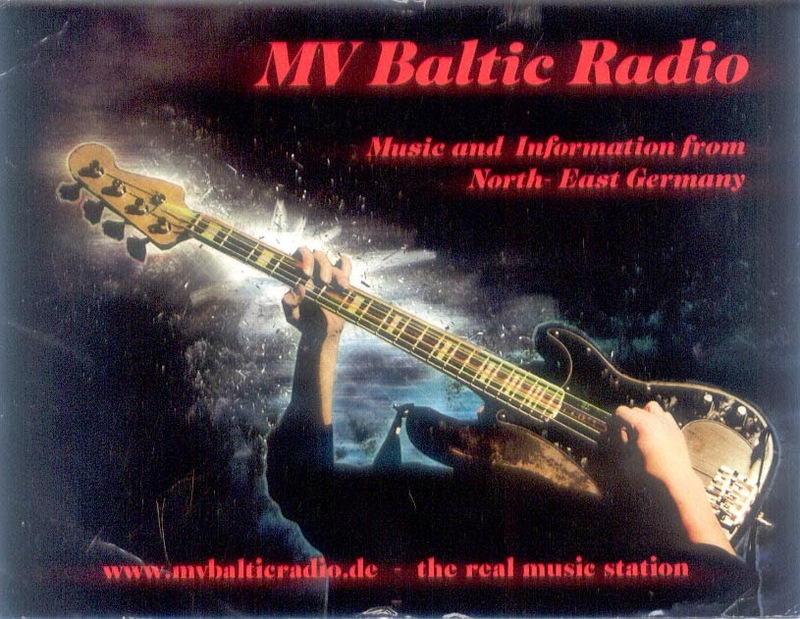 MV Baltic Radio - Goehren, Germany: 9485 kHz, 1200 to 1219 hrs UTC in German log on 2nd March, 2014 and f/d QSL card arrived on 16th June 2014 for my email report. 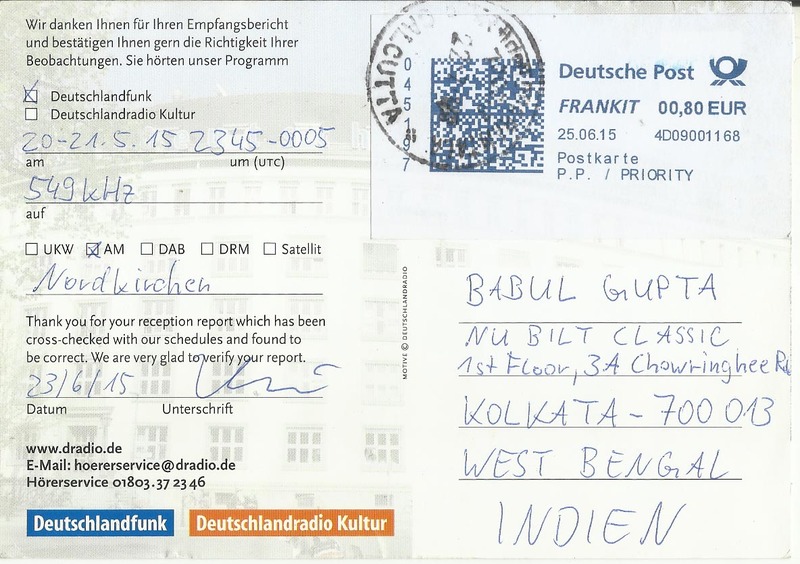 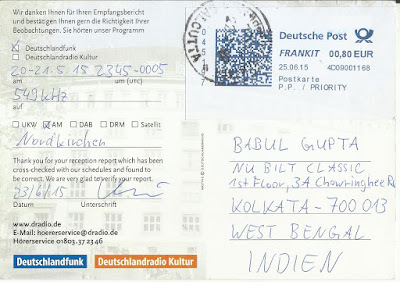 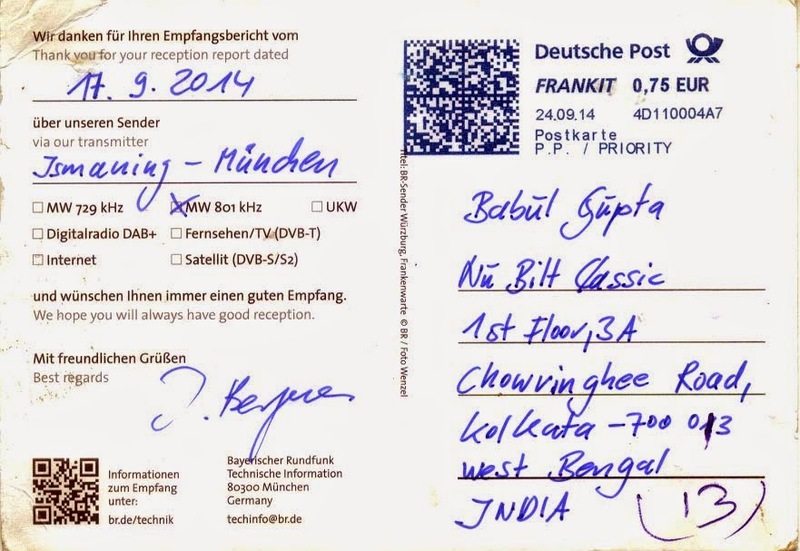 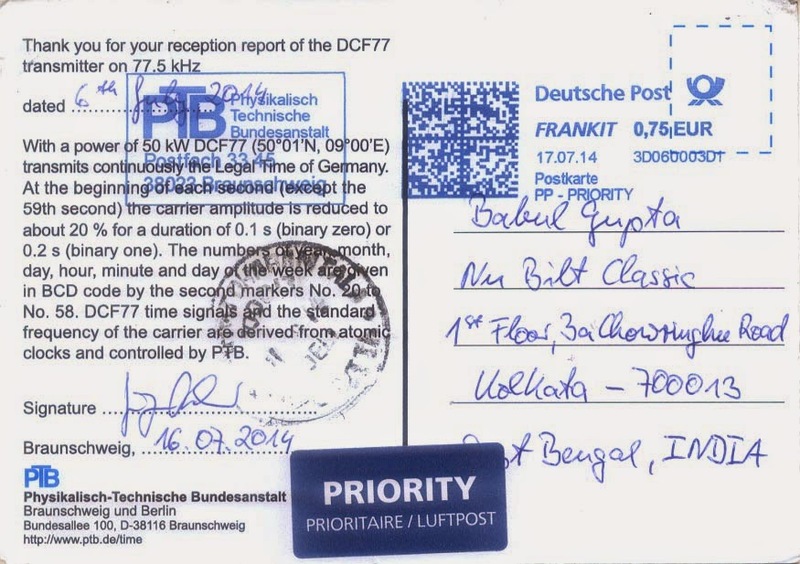 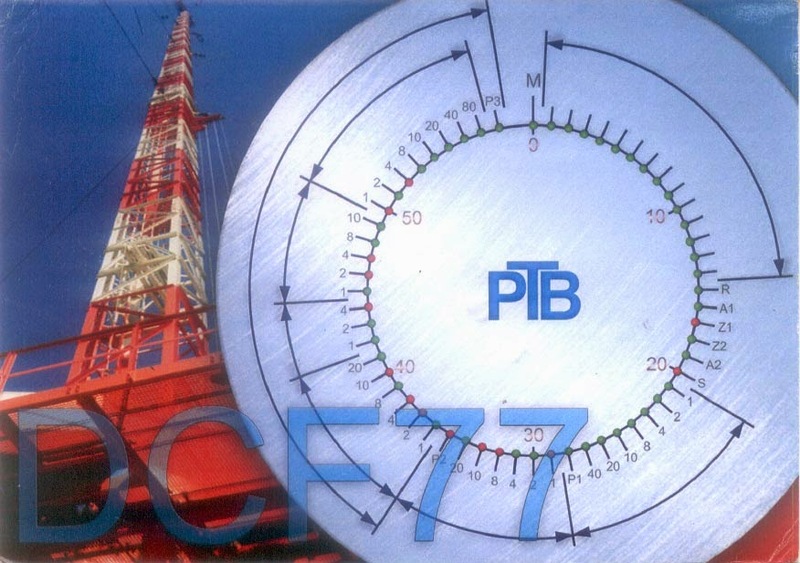 Physikalisch-Technische Bundesanstalt (PTB): 77.5 kHz in CW mode at 0420 to 0432 and 0557 to 0602 hrs UTC log on 6th July, 2014 and f/d QSL card arrived on 1st August, 2014 for my email report. 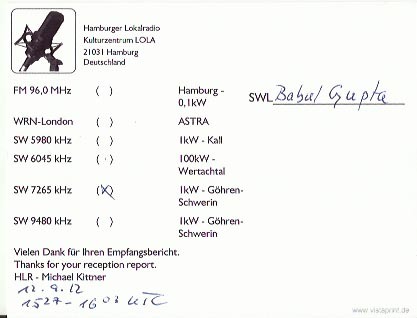 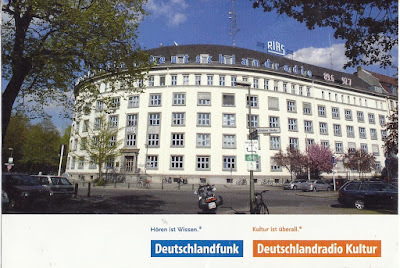 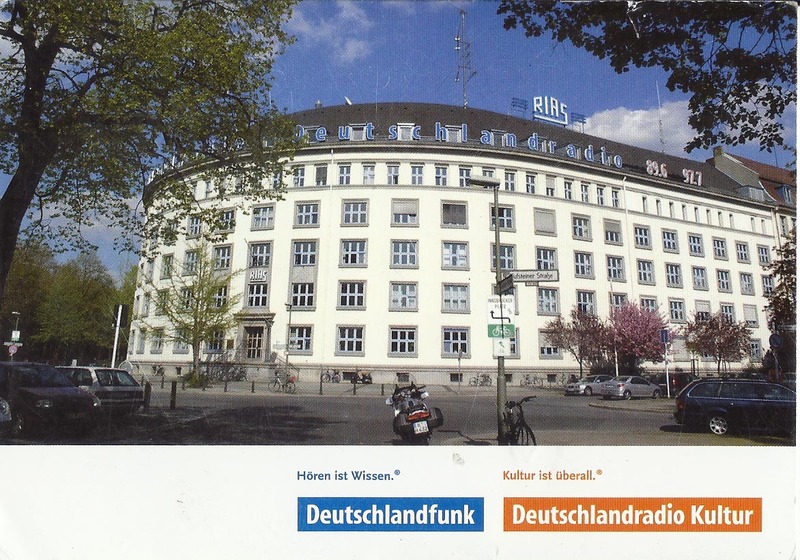 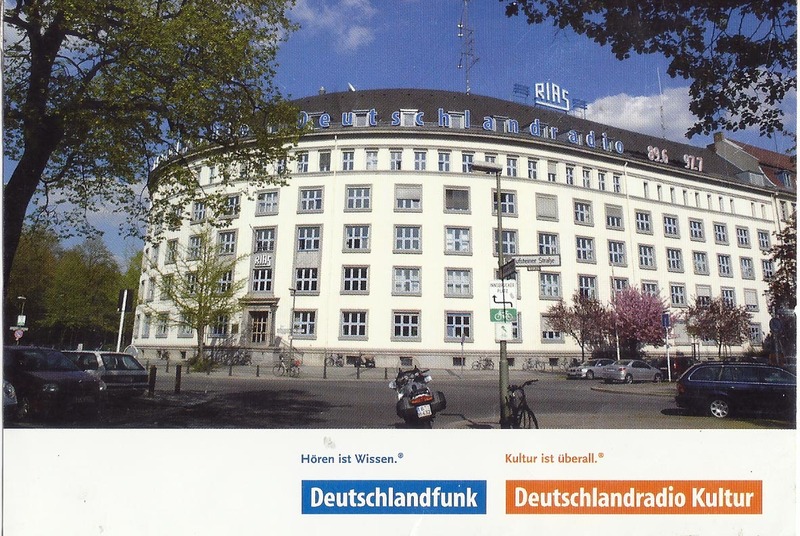 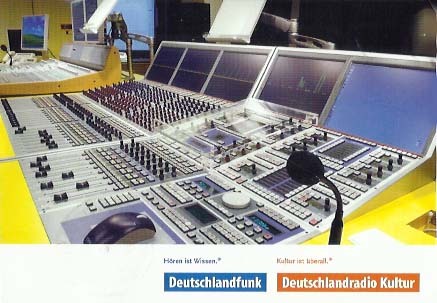 Bayerischer Rundfunk - Munchen: 801 kHz in the medium wave in German at 2245 hrs to 2310 hrs UTC log this station 17th September, 2014 and f/d QSL card received on 7th November, 2014 for email report.